I began this series of prints, Get Stuck in Trees, in the letterpress studio at Penland School of Crafts (NC). 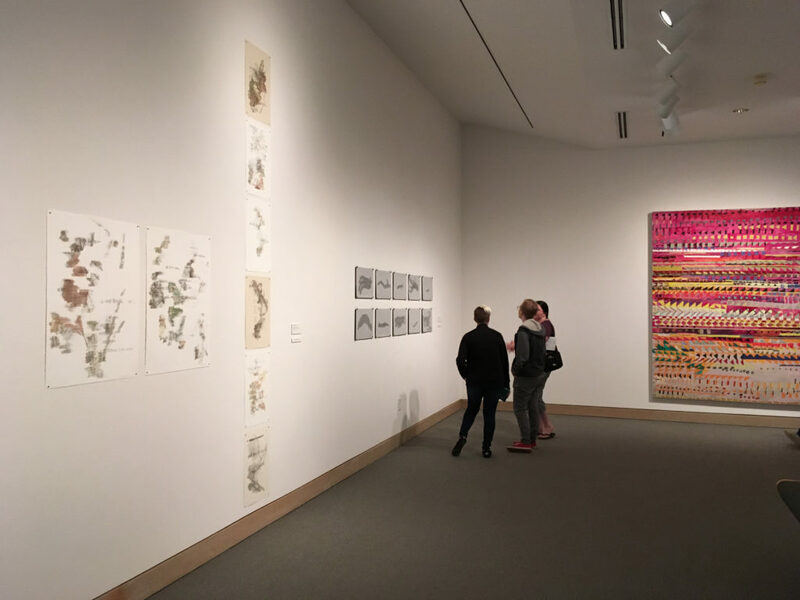 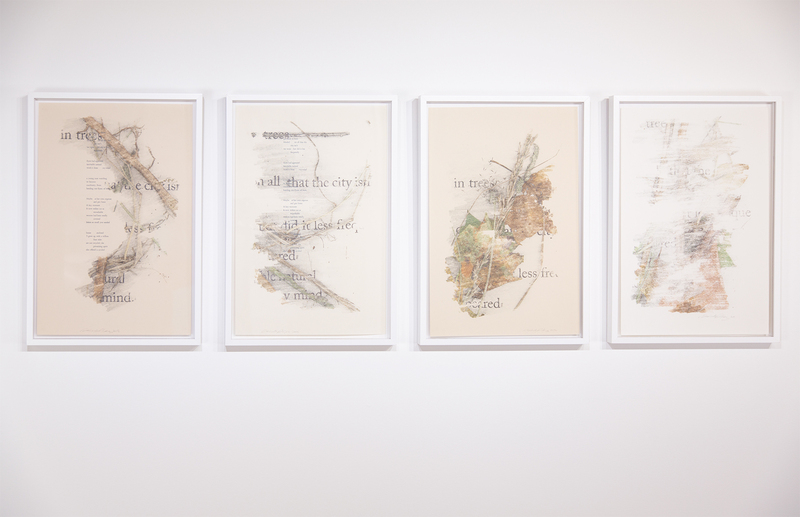 The series explores the idea of text as a found object and the relationship of text to objects in the world. 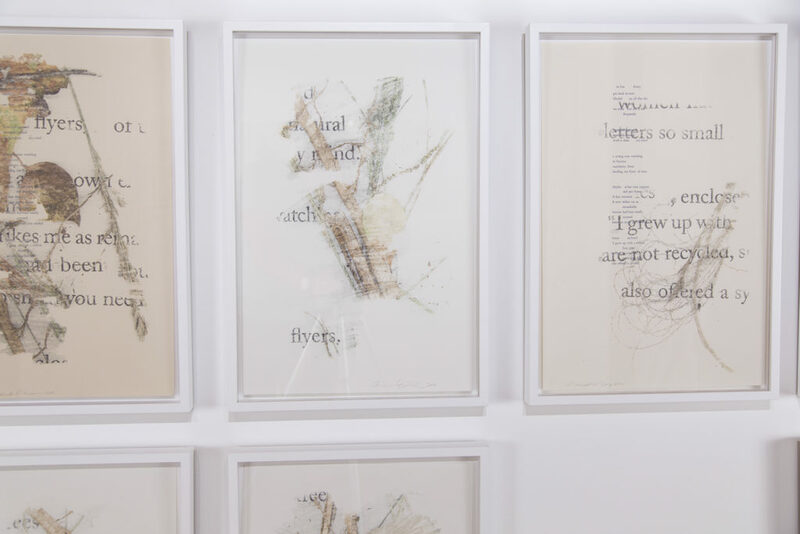 The poem was written by reassembling fragments of an article on the environment. 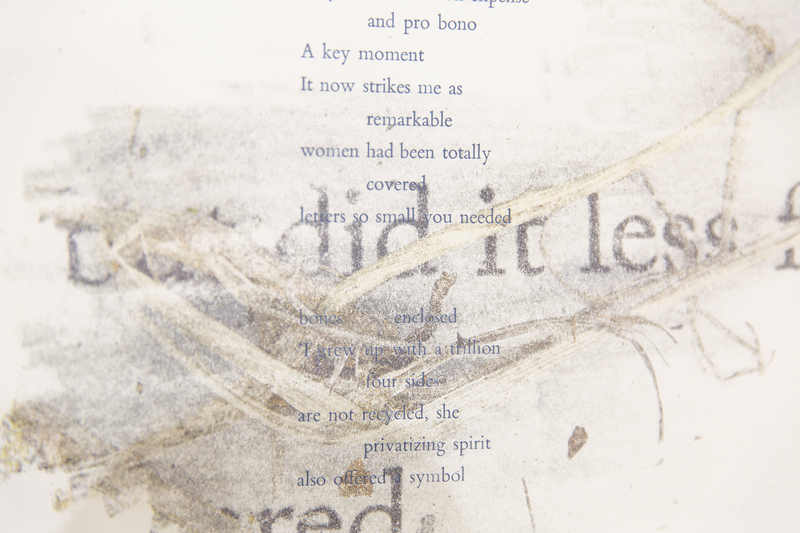 Printed in letterpress, I’ve preserved some of the pauses and grammar from the original text setting. 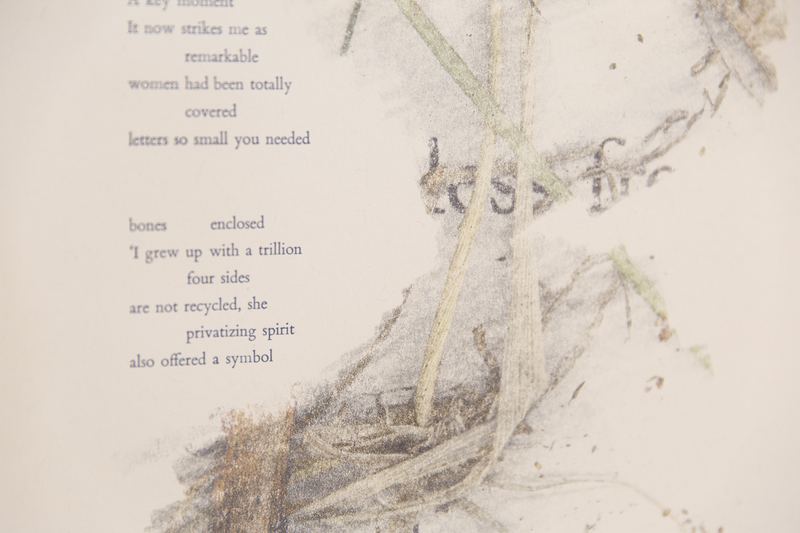 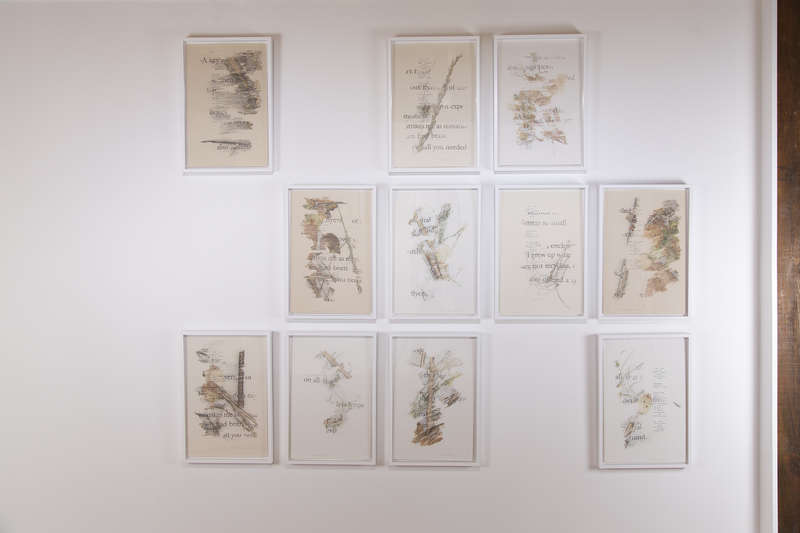 The original paste-up of the assembled poem is combined with plants on the bed of a scanner, in a capture of their physical mash-up. 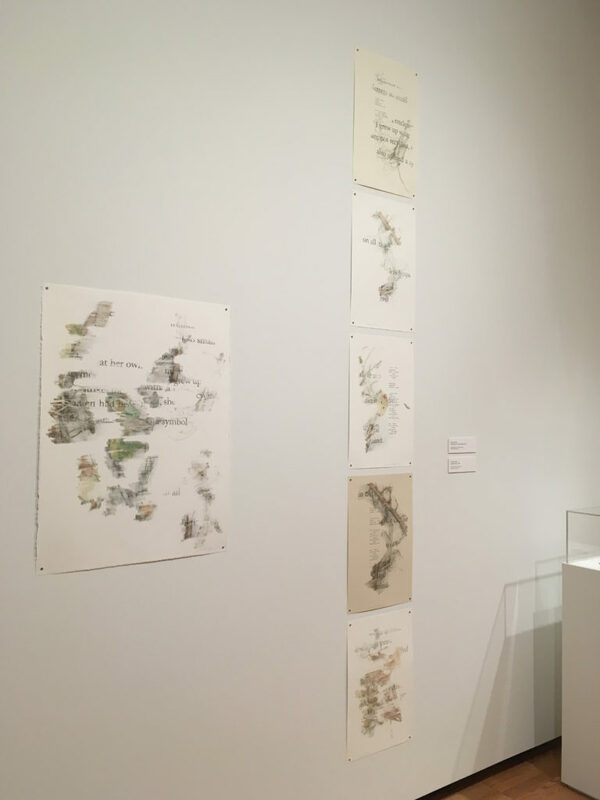 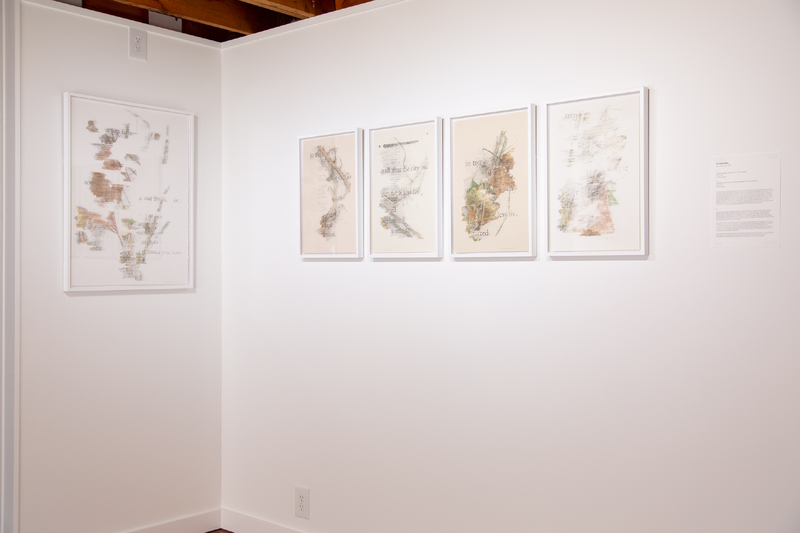 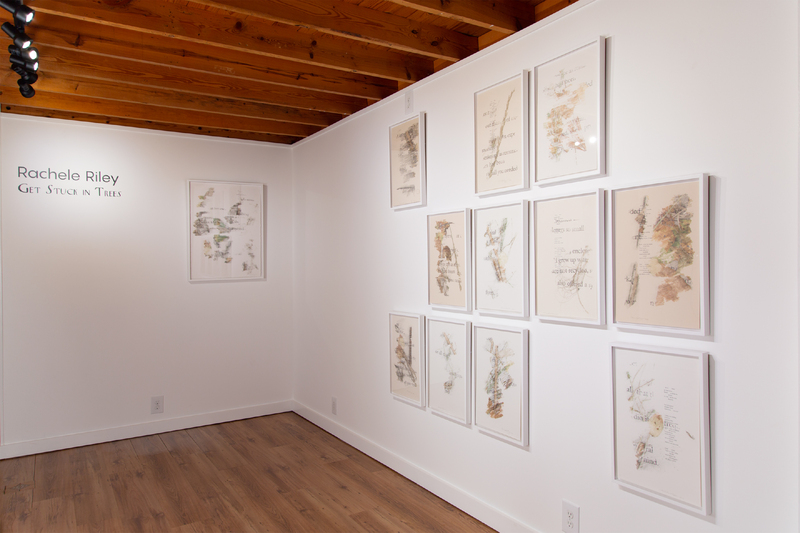 The series has allowed me to consider mark-making and gesture, language and expression, in connection to the process of printing and drawing. 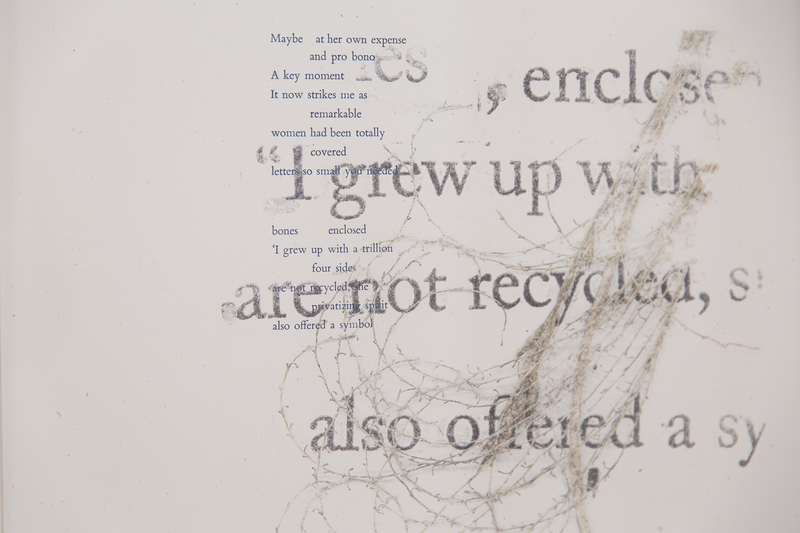 I specifically enjoy the chance operations of solvent transfer printing and its contrast to the planned process of letterpress composition.